Located in Malang, Malang Hill Gallery & Homestay is in the suburbs, within a 10-minute drive of MOG Mall Olympic Garden and GOR Ken Arok. 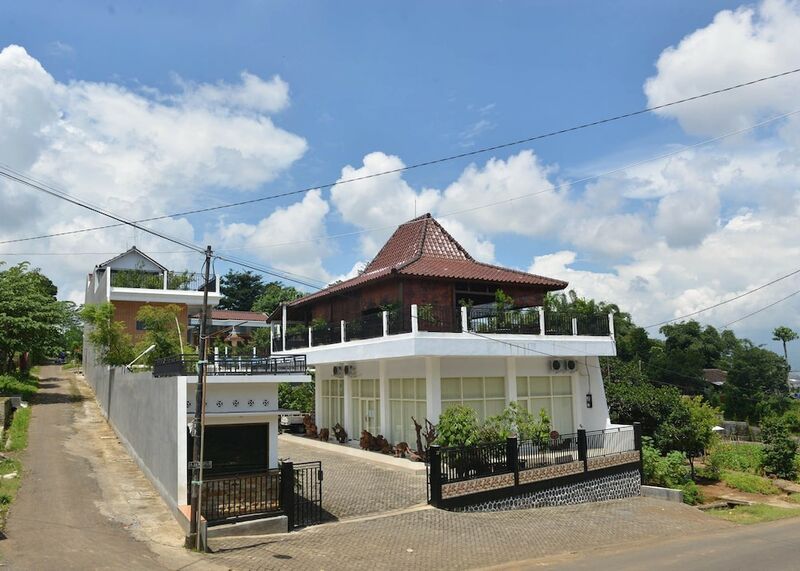 This guesthouse is 2.9 mi (4.6 km) from Alun-Alun Kota and 13.8 mi (22.3 km) from Batu Night Spectacular. Make yourself at home in one of the 11 air-conditioned rooms featuring LCD televisions. Complimentary wireless Internet access keeps you connected, and cable programming is available for your entertainment. Bathrooms have showers and complimentary toiletries. Conveniences include phones, as well as desks and coffee/tea makers. Don't miss out on recreational opportunities including an outdoor pool and bicycles to rent. Additional features at this guesthouse include complimentary wireless Internet access and concierge services. A complimentary cooked-to-order breakfast is served daily from 7 AM to 10 AM. Featured amenities include luggage storage, a safe deposit box at the front desk, and coffee/tea in a common area. A shuttle from the airport to the hotel is complimentary (available on request), and a train station pick-up service is also provided at no charge.